You go hard Friday and Saturday. You squeeze in every event, every game, and you don’t pass up a single beer. But by the time Sunday rolls around, it’s time for a little recovery. 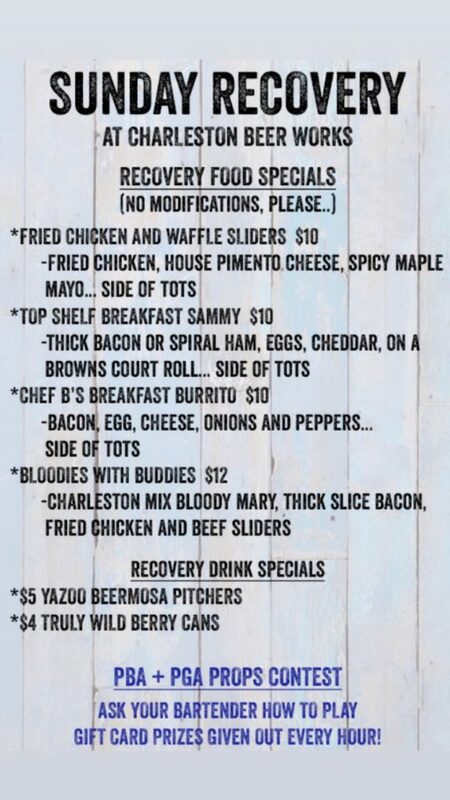 Sunday Recovery at Charleston Beer Works has all-new menu items and drink specials. 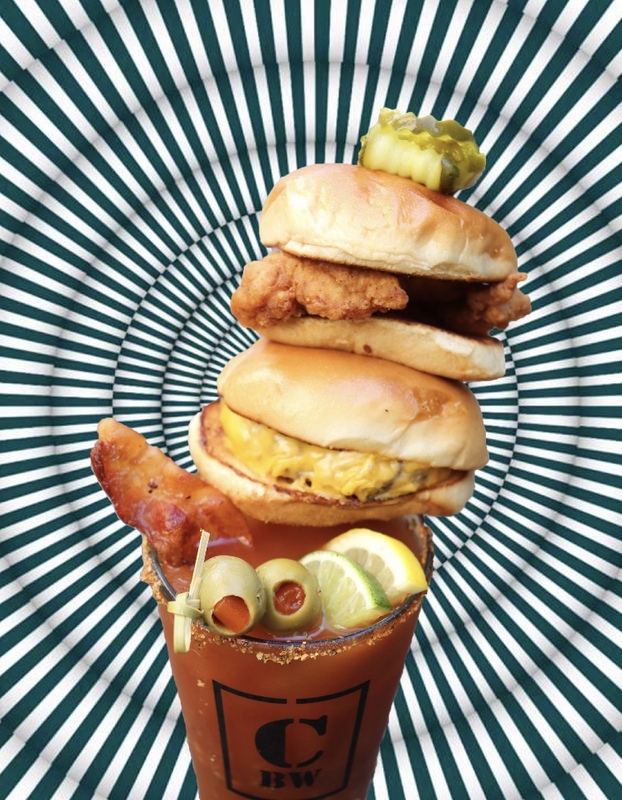 We’re talking Fried Chicken and Waffle Sliders, our Breakfast Burrito, the Top Shelf Breakfast Sammy, and our over-the-top Bloodies with Buddies Bloody Mary that is the real deal. We’ll be pouring $5 Yazoo Beermosas and we’ll have our favorite spiked and sparkling Truly Wild Berry for $4. And we’ve got a little contest for everyone because #SundayFunday. We’ll be playing the Dollar Game contest with PBA Bowling and PGA Golf for gift card and swag prizes given out every hour! Joining us for Sunday Recovery? Talk to your bartender to join in on the fun!